Difference Between Demat and Trading Account. Hi Investors! Today, I am writing this post on the demand of my readers. Many of the readers of ‘Trade Brains’ are confused with what is a demat and trading account and asked me to cover this topic. 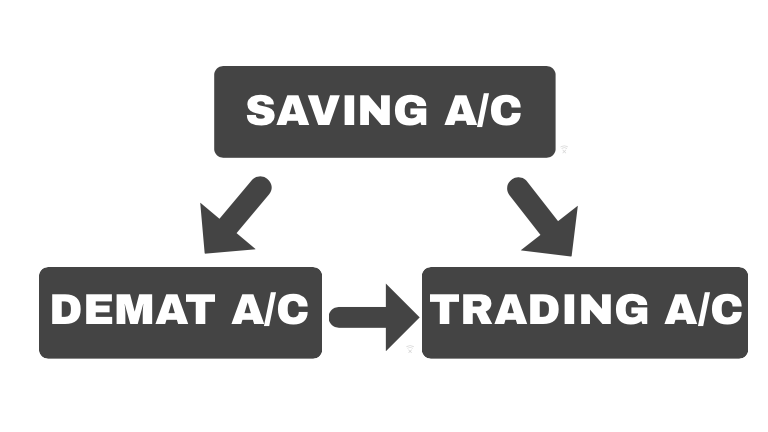 Therefore in this post, I am going to explain what is the difference between the demat and trading account in a very simple way. Most of the people who enter the stock market need a demat and trading account. These accounts are necessary to start trading/investing in India. However, the majority of beginners do not know the difference between demat and trading account yet. They consider both the demat account and trading account to be the same. But in reality, both these accounts serve an entirely different purpose. A trading account is a medium to buy and sell shares in a stock market. In simple words, it is used to place buy or sell order for a stock in the market. Demat account is the short form for ‘Dematerialised account’. It is similar to a bank account. Just as money is kept in your saving account, similarly bought stocks are kept in your demat account. It serves as a facility where stocks bought are deposited and the stocks sold are taken away. Let us understand the difference between trading and demat account with the help of an example. You need to have the buying amount on your saving account. Transfer the money from saving account to trading account. Buy stocks of ‘Maruti Suzuki’ from the stocks using your trading account. The money is transferred to the seller through your trading account and stocks of ‘Maruti Suzuki’ will be transferred to your demat account. You place a sell order on the market using your trading account to find a buyer. If a buyer is found, then the shares will move from your demat account to the trading account and eventually to the buyer. The money earned will flow through your trading account to your savings account. Before coming to the internet in India, there was no demat account. Share certificates were provided whenever you buy stocks (on papers). However, there were many limitations to using paper share certificates. They get torn, stolen, safety issues or the ink just gets fade away with the age. Nevertheless, after coming of the internet from the mid-1990s, the stocks started getting kept in the electronic dematerialized form in the demat account of the buyers. It resolved most of the limitations of the old paper share certificates. If you want to learn stock market from scratch, here is a best-selling book by Peter Lynch which I highly recommend for the beginners to read: One up on wall street. The duration of opening a trading account is around 3 days, whereas for a demat account it is around 7-10 days. There are no annual maintenance charges for a trading account, where for the demat account this charge varies with the brokers. It’s typically around Rs 400. It’s important to take notice of the charges while open demat and trading accounts. There are various charges applied to a transaction (buying or selling). The biggest charge is brokerage charges, which varies with different brokers. A full-time service broker like ICICI direct, HDFC securities etc charges as high as 0.5% of the transaction amount as brokerage. 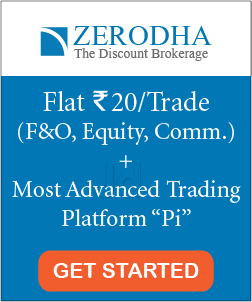 Whereas discount brokers like Zerodha offer zero brokerage on delivery transactions and a minimum of 0.1% or Rs 20 on intraday. It’s really essential to choose your broker wisely if you want to avoid unnecessary charges. Here is a link about the different charges by online brokers that you may find useful. In addition, you are also allowed to have multiple demat and trading accounts using same PAN card. For instance, I have two accounts- one in ICICI direct & other in Zerodha. A trading account provides a platform to buy or sell the share in the market. It acts as an intermediary between your saving accounts and demat account. 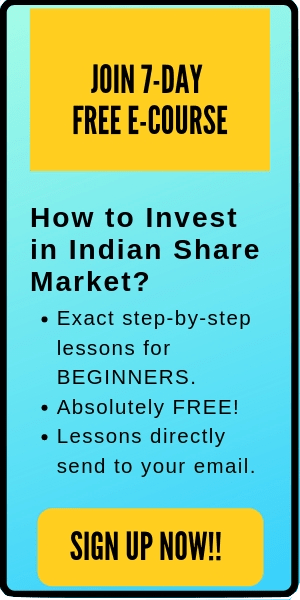 It takes share from your demat account and sells them in the market. On the other hand, it takes money from your savings account and buys a share to keep in demat account. A demat account is a facility to keep your shares in an electronic dematerialized form. That’s all. I hope this post on the difference between demat and trading account is useful to the readers. If you have any doubts, comment below. I will be happy to help you out. Happy Inveseting!